Home / GST / How to Register Digital Signature on GST Site? How to Register Digital Signature on GST Site? Registering Digital Signature on GST Site is a difficult task but not impossible. You can register Digital Signature on GST site with a little trick and installation with required Software. Windows: Admin Access to install the emSigner Component. 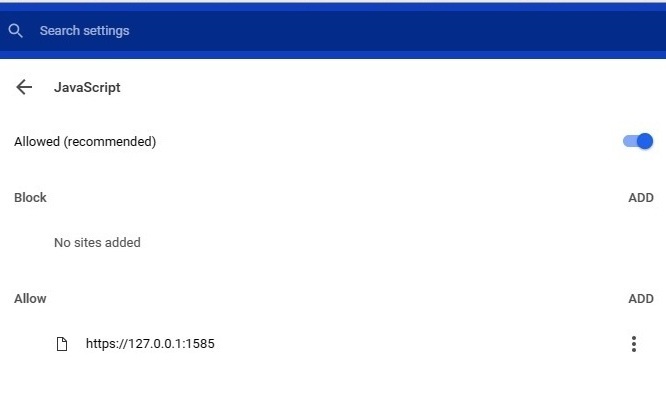 Download Mozilla Firefox Version 50.0.1 and install (Remove existing Mozilla from your system). After complete installation you need to restart your System. After restart, open Mozilla Firefox and try to login to GST Site, Some system show exception error while you logging in your GST account, click on Add Exception Tab appear at bottom on the page, it will add your site in Default Java Exception in Mozilla Firefox. 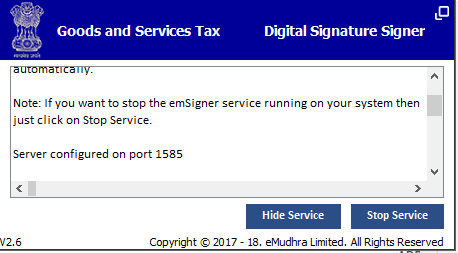 1585 is your port number, may be your port number is different and because of this you will unable to register your digital signature on GST Site. So how to find your Port No., Right click on emsigner and click on Open as administrator. GSTIN emsigner will be running in background but app icon appear in your status bar tray. Double click on icon and Emsigner service appear on your screen and showing your system port number. In above image, my port number is 1585, similarly your port can be 1585, 2095, 2568, 2868 or 4587. Change your port number accordingly.